‘Please help us salute the fragile, frail, and feeble famous by voting for your favorite snowflakes below. The Snowflake Awards was established to honor notable hypersensitive citizens, those who, when subjected to the slightest pressures of life, begin to melt! There are 5 categories to the show: Best Snowflake, Best Hypocrite, Best Faux Humanitarian, Best Meltdown, and Best PC Effort. The nominees are only available on the site if you vote through the categories, but they are also listed on a TooFab article. However, there are some (many) picks that are offensive and downright senseless. For one, Shia LaBeouf was nominated in the ‘Best Meltdown’ category, presumably due to his response to neo Nazis crashing his ‘He Will Not Divide Us’ performance art piece. In fact, neo Nazis crashing the performance piece, which was supposed to last for four years, led to the museum shutting down the piece. Tomi Lahren has a lot of gall nominating Shia LeBeouf for ‘Best Meltdown’ for his response, as a Jewish man, to neo Nazis. In addition, Tomi Lahren nominated some liberals, probably assuming people would be upset about them, that really don’t make sense. For one, nominated Amy Schumer and Lena Dunham for ‘Best Snowflake’ wasn’t the brightest idea. You can have them, we don’t claim them. In addition, Iggy Azalea was nominated for ‘Best PC Effort’. What? Iggy Azalea appropriates black culture, has said the n word before, and can’t rap. To repeat, we don’t claim her. 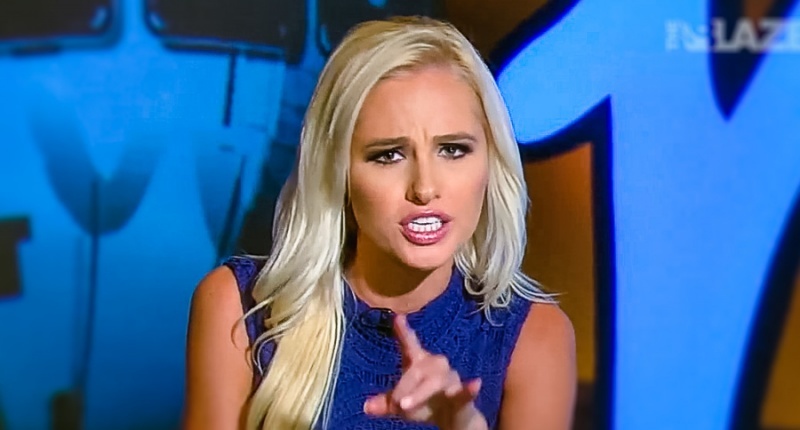 Tomi Lahren’s mockery of the Academy Awards probably seemed like an amazing idea to her, but much akin to parents trying to use memes, it fell short of the target. While some of the choices were offensive and definitely meant to incite reactions, most of the choices gave off the impression that the person in charge of the project has learned everything they know about democrats through Fox News. In addition, trying to combat a major awards show by hosting a parody the night it’s airing was not a well thought out idea. While it doesn’t seem like it could possibly be successful, especially since it’s airing at the same time as the Academy Awards, only time will tell.